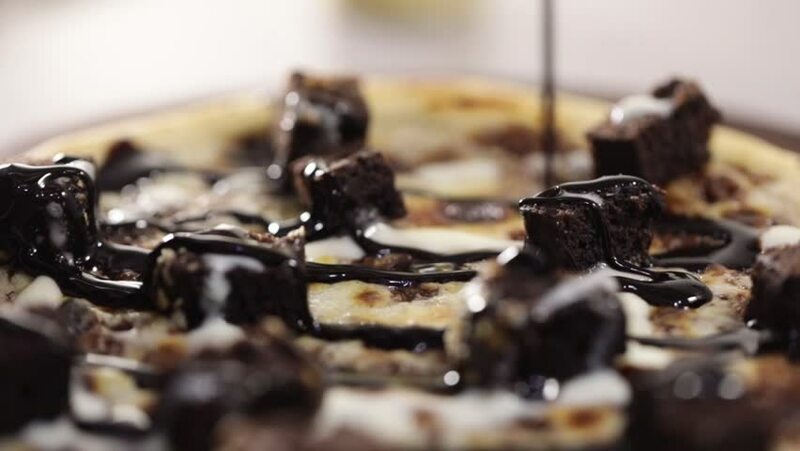 Brownie Pizza with chocolate syrup on top. hd00:07The concept of eating dessert. Eat less dessert and exercise regularly.,Toast with oreo cookies and whipped cream with condensed milk. hd00:09Sea shells steaming in the fishmarket in Bergen. 4k00:23Roasted brown coffee beans, can be used as a background. 4k video. hd00:09Close up shot of golden 50 dollar collectors' coins being emptied by a gloved hand onto a table for careful inspection.